One of the things I love about living ‘down south’, is the opportunity to follow a whim or curiosity in terms of professional development. When I saw some tweets fly by about a Sketching in Practice symposium sponsored by SFU, my interest was piqued. When I poked around a bit I found the pages and pictures from the 2016 and 2017 events and then followed the blog until the presenters for this year’s event were posted. I checked my calendar, figured out travel details and registered. I’ve explored graphic facilitation and sketchnoting in the past but I appreciated the wider scope of SKiP2018. From a young art teacher, Meghan Parker, who had just completed the first “..thesis of an autobiographical nature in comic book form” to two academics, Dr. Kathryn Ricketts and Dr. Andrea Kantrowitz, who proposed to explore intersections between movement, gesture, and meaning, the day looked pretty full of thought-provoking experiences! A last minute surprise was my winning a draw for a pre-event workshop with Carnegie Mellon’s Doug Cooper called “Drawing by Touch.” Thanks SKiP! So, what did I learn? what did it change about my ongoing professional development ideas and interests? I have always found that writing can help me work out ideas but I often struggle with using drawing the same way. I’ve found that the challenge of imagining an image to represent a complex idea takes a fair bit of thinking at times and my lack of any drawing automaticity means that I’m also struggling to think of how to draw the image I can picture. Sometimes that means drawing is a block to understanding rather than an aid. So, the natural drawing exercises (from author/teacher Kimon Nicolaides: The Natural Way to Draw (1941)) that Doug talked/walked/drew us through on Thursday afternoon were really helpful as he introduced me to some new ways of relaxing about drawing and finding ways to feel the shapes of what I see and to let my hand and arm relax and stay connected with the paper. Now, to make drawing a more natural part of my day so that I can use it more effectively in my practice. I thoroughly enjoyed Armin Mortazavi’ Lightning Talk. His understated delivery and self-deprecating humour make it easy to miss the impressive abilities of this young science cartoonist. His story about juggling personal crises while holding various government entities at bay while he created a meaningful story to communicate complex health and nutrition information through his comics was hilarious but enlightening. I’m only sorry I couldn’t be part of his session – I heard it was great. 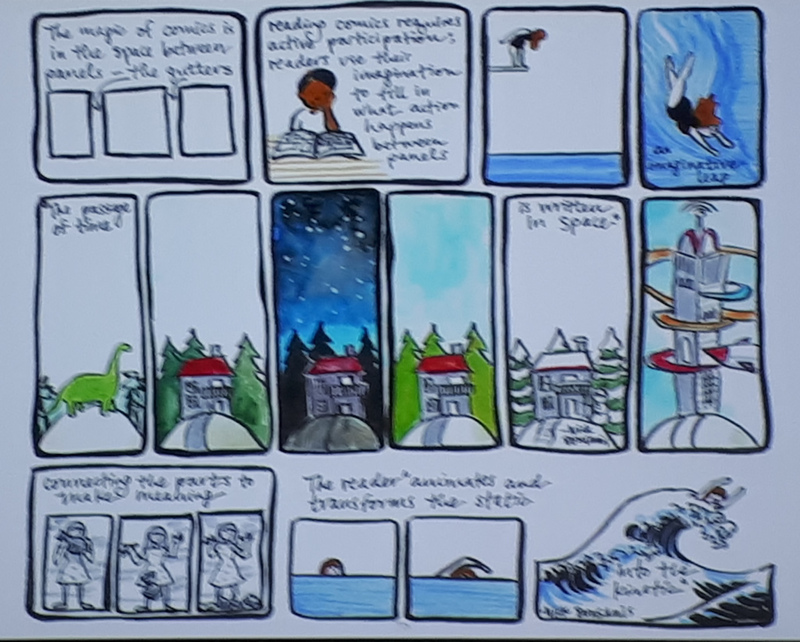 Two related afternoon sessions: Professor Chris Lanier shared some interesting examples of some of his favourite graphic novels and then pulled us into an exploration of how drawn images can inspire story narratives. An interesting use of this narrative mapping technique that certainly drew some interesting stories from the audience. Chris is currently working on a novel about the Department of Justice’s Ferguson Police Department Report (An Anatomy of Institutional Racism), using comics and infographics. Erin Fields hosted an interesting session exploring the Information World Mapping (IWM), developed by Dr. Devon Greyson. She involved us in a brief application of the technique, having us draw our information world – mapping the process and connections we think of when we try to resolve a problem. This enriched our understanding of her story about applying this method at UBC when she participated in an application of IWM to try to understand the information-related needs and preferences of student refugees during resettlement. Erin is Liaison Librarian in the humanities and social sciences and the Flexible Learning Coordinator at the University of British Columbia. 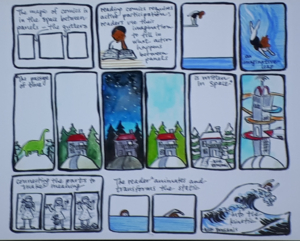 I had read about Sandra’s use of drawing journals in a recent article from Capilano University’s Bettina Boyle so I was curious to hear her story and learn more about how she integrated drawing in her teaching. She shared her journey and her efforts to understand the evidence underlying her beliefs and practices in the classroom. Some of her examples were very compelling and a good “push” to start incorporating more drawing and journaling to support my own personal reflective practices! I think there is much more to the ideas Dr. Ricketts and Andrea Kantrowitz wanted to share with us than I was able to absorb from their Lightning Talk and interactive three-part session. Although the fluidity of movement, the variation in emotional expression and story conveyed by Kathryn’s movements was interesting, and the use of the projected overlays of line, colour and form that Andrea drew as she was inspired and interacting with Kathryn’s story were eye-catching, I never really felt the two blended or augmented my understanding, although the group I was part of during the “audience participation” piece had a lot of fun trying to use movement to express emotions depicted by tiny drawings on scraps of paper. I was grateful for the small printed booklets Andrea shared afterwards and I’ll be “unpacking” the ideas as I have time. Whew! It was a full day and a half – had to leave early to catch a ferry home. Too bad I missed the summation and the opportunity to get together with people afterwards. But my hat is off to the hardworking, enthusiastic SFU staff that helped us all learn together – and kept it fun! Why is it that we are so shocked when our free tools change? While it can be annoying, somewhat sad, or potentially expensive, why are we so surprised? Google’s recent announcement that they are shutting down “goo.gl” a URL shortener and QR code generator, was more annoying. A March 30th article explains (sigh) goo.gl faced competition from other popular URL shortneners like bit.ly but the main reason seemed to be that the developers felt that it no longer represented the way that most people found things on the web. Users of the service (like me!) are assured that their short URLs will continue to point to the same websites but that no new shortened URLs can be created. But the demise or renovation of free apps and web services is part of the cost and risks of innovation. Providers offer “free” tools to spread the idea and test the functionality of different aspects but the underlying motivation is still to make a profit (and potentially go viral and make a fortune 😉 Some go through the spreading – testing – tweaking – retesting cycle quickly and then disappear. There’s rarely a lot of talk about those; it’s the ones that we get comfortable with because they just go on working (without costing us anything) for a long time are the ones that create consternation when they change (or die). For many of us who use freemium tools for our work and personal lives, losing a favourite tool is more than just an annoyance. It is a bit of an emotional hit too as we invest a lot of time and get a lot of satisfaction from developing expertise in using a good tool like Padlet, Wikispaces or goo.gl. And, in many cases, we can’t find an equivalent app or web service – that makes it even sadder. Although not one of those who “howled” in protest, I was saddened that Twitter executives expanded the service to allow 280 character tweets. As a long-time tweeter (or “twit-r” as a friend suggested), I tested Twitter in 2009 because it was part of my role as a Distributed Learning educator – how could I help teachers teach with and through technologies, if I didn’t test out the possibilities of an increasingly popular social media tool? I figuratively “held my nose” and posted my 1st tweet with tongue-in-cheek and behind-the-screen eye-rolling. My savvy edtech friends laughed when I made the mistake of selecting “Northerntweeter” as a handle; I hadn’t realized that that would use up their character limits if they tried to direct tweet me. I learned to think of Twitter as a place to “skim the waves” and to choose moments to step into the flood and just wait and watch what tumbled past me in the flood. I quickly discovered that my tweets were retweeted more often when I took some time to craft my message (not just meet the 140 limit). Restrictions can push innovation; artists and architects know how to take the time to explore what can be done within the limits of certain spaces or tools to create unique perspectives or enrichments. Twitter’s 140 character limit has resulted in some amazingly powerful tweets, memes, haiku-like social commentary, and some hilarious misunderstandings. I’m trying hard to keep an open mind but my sadness was not assuaged by articles that suggest that allowing people to play emojii games is a new value-added result. 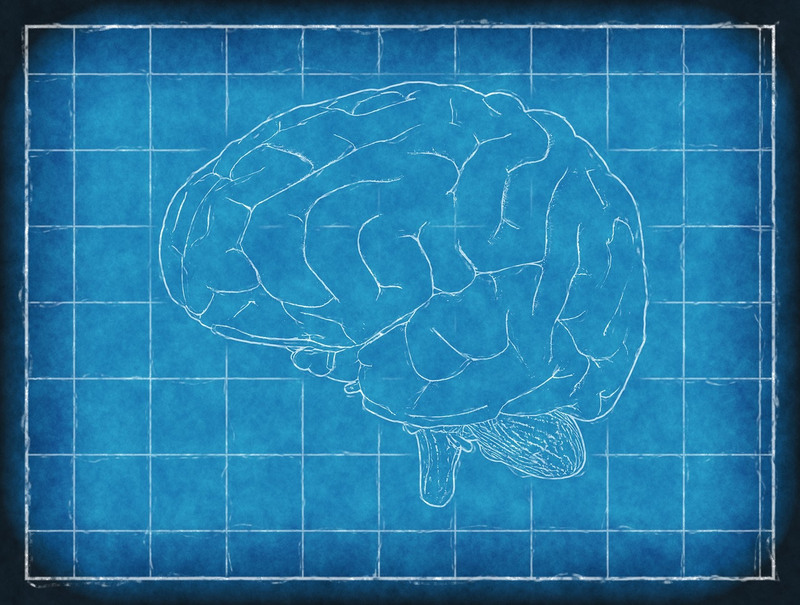 A recent blog article by Christopher Lane casts a light on the varied claims about what is happening in our brains based on fMRI scans. 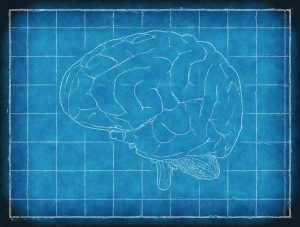 A recently published critique of neuroscientific research by Stanford scientist John Ioannidis and Denese Szucs (see References) found serious flaws in many of the reported studies based on fMRI scans. My immediate reaction was to go back and check my notes from my recent course, a MOOC called “Learning How to Learn” and the content that referred to fMRI data and how the heightened activity in the pain centres of the brain when people procrastinated demonstrated why we are so quick to switch our attention to more pleasurable or easier tasks or thoughts. Would this mean that the strategies to overcome procrastination weren’t valid either? Well, I was unable to track down the specific fMRI data that the professor referred to (and can’t ask as the course is over) but I reviewed the tips I learned that I wanted to share with other instructors – and they still seem to make intuitive sense – see what you think. Even if the fMRI data about the responses is inaccurate, there does seem to be real “pain” felt by those of us who procrastinate too often; avoiding important tasks too often can undermine success, create stress, frustration and unhappiness, and can become a habit that is difficult, but not impossible to break. But we also know, from the more recent neuroscientific research, that our brains can adapt and change (referred to as “neuroplasticity”). So how do we change bad habits? In the recent past, researchers found that regular short breaks could help student stay focused. 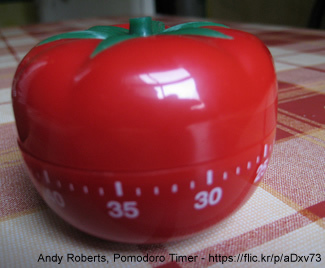 A technique developed by Francesco Cirillo, called the “Pomodoro Technique” involves working in 25 min cycles with short breaks. The cycles were called “pomodoros” which means “tomato” in Italian (named for the tomato-shaped timer that Cirillo used as a student). After four pomodoros, you take a longer break and then start on a new task. Note: The technique incorporates what Iowa State University researchers have found about the importance of spacing practice (see Spacing and Interleaving of Study and Practice in References). Evidence presented in the paper documents the changes in learning observed when the intervals between practice sessions varied. It appears as though different intervals, rather than “massed practice”, can help us build more constructive habits. Another theory, referenced in an August 2016 post in Open Culture, The Neuroscience & Psychology of Procrastination and How to Overcome It from Piers Steel, Distinguished Research Chair at the University of Calgary (explained in a Youtube video – The Procrastination Equation) explains procrastination as arising from the fact that the primitive part of our brains, the limbic system, responds much faster to stimuli than our more rational pre-frontal cortex. This can result in a haze of distractions that prevent us from accomplishing tasks we find difficult or distasteful or just don’t feel like doing. His main recommendation to overcome procrastination: mindfulness meditation. 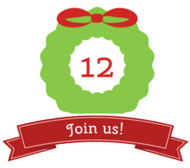 I’m really looking forward to exploring new apps during the #12appsBC event (coming up F-A-S-T-!). I have the enviable position this year of being able to “peek behind the curtain” and see the apps that our enthusiastic, experienced edtechs and educator teams are preparing for you. I see a few I’ve tried, I see a few I’ve read about but haven’t tested, and a few I’ve never heard of before. I’m looking forward to seeing what a wide range of educators comes up with – a scenario ripe with possibilities and potential. But I’ve also been reviewing my awareness and knowledge around some of the risks inherent in using any cloud-based “free” apps – partly because of this event but also cuz I’m developing an online design work for educators and I want to make sure I am aware of current issues, particularly in regards to any institutional initiatives or guidelines for faculty. For those in BC, you’re aware of the requirements of the BC FoIPPA legislation for higher education – but are you comfortable with how to protect your students’ privacy while still creating engaging and useful learning activities or resources? Does your institution have practical advice or assistance that you can tap into? or try out UBC’s Digital Tattoo site to learn more about your own digital presence and the important elements of digital identity. 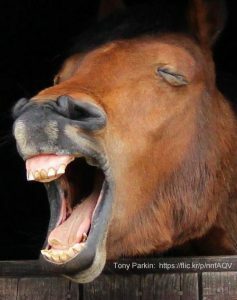 Even if you can’t read every line of the ever-changing, densely worded, mind-numbing terms of reference and privacy agreements for every cloud-based app you use, keep in mind the adage “always look a gift horse in the mouth” – read for the essentials – who has ownership of what you post – where is the transition between “free” and “paid services” – what are the cancellation policies – what happens if there’s a conflict between you and the app provider – can you backup your own work in a readable format. 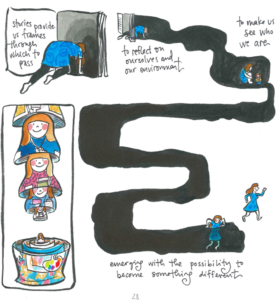 Don’t be afraid to take risks – most powerful learning experiences involve risk. But be aware, plan to mitigate risks and, have fun exploring!